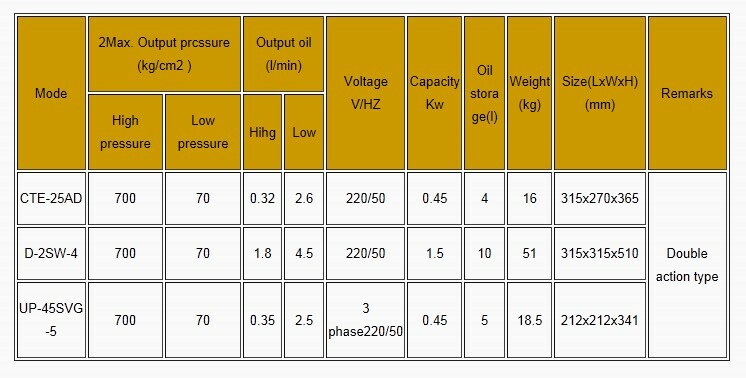 •Both entering oil and returning oil for work pressure are 700kg/cm2, thus it can bring out power of ton. • The function of CTE-25AD produced by TAC is special, it can make separate action such punching, pressing, bending, entering single hole, Purpose for returing oil: to make double active entering and returning oil. 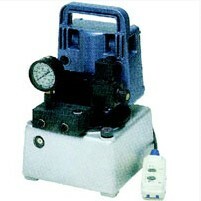 •Enclosed 2M hose for 2. And can order to extend to 10M, Liquid oil: SHELL-46, refering the previous page 1.